This really is one of the best pies you will ever eat! 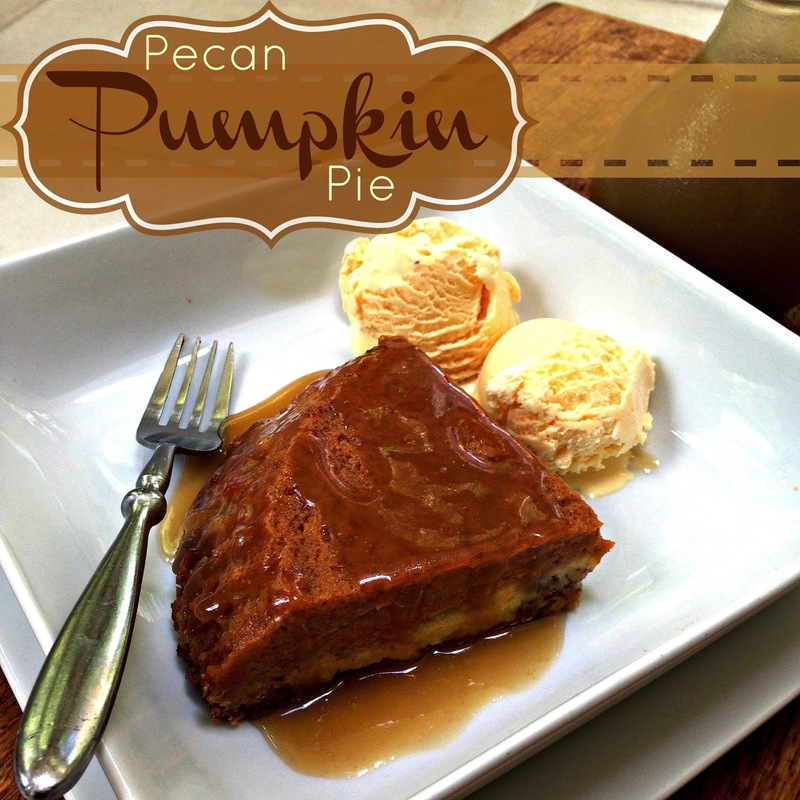 The Pumpkin and Pecan together are to die for! Line two 9 inch pie pans with waxed paper; coat paper with non stick cooking spray. Set aside. In a mixing bowl, combine pumpkin, sugar and milk. Beat in eggs, cinnamon, and salt. Pour into prepared pans. Sprinkle with dry cake mix. Drizzle with butter, sprinkle with pecans and press down lightly. Bake at 350 degrees for 50 to 60 minutes or until golden brown. Cool for two hours on wire racks. Carefully run a knife around the edge of the pan to loosen. Invert pies onto serving plates, remove wax paper. Chill. In a heavy sauce pan, over low heat, melt butter, add brown sugar and cream. Cook and stir until sugar is dissolved. Cut pie into slices and drizzle with caramel sauce.